"…if liberty is only an adventitious right; if men are by no means superior to brutes; if every social duty is a curse; if cruelty is highly to be esteemed; if murder is strictly honourable, and Christianity is a lye (sic); then it is evident, that the African slavery may be pursued, without the remorse of conscience…but if the contrary of this is true, , which reason must immediately evince, it is evident that no custom established among men was ever more impious." In 1562, the privateer John Hawkins sailed to Sierra Leone with a fleet of three ships, where he captured 100 Africans, ‘partly by the sworde, and partly by other meanes’. He exchanged them in Hispaniola for ‘hides, ginger, sugars and some quantities of pearles’. In 1663, the Royal Adventurers in Africa was founded by Charles II and the company was granted a monopoly for 1000 years. The first ships took Africans from Guinea to be enslaved in Surinam and Barbados; in 1672 the Royal Adventurers in Africa was renamed the Royal Africa Company, and by 1689 they had transported 90,000 Africans to the Americas. Other British companies wanted a share in the lucrative trafficking in humans and in 1698 the Royal Africa Company monopoly was broken by the Bristol merchants which opened the ‘trade’ up to anyone who wanted to make their fortune. 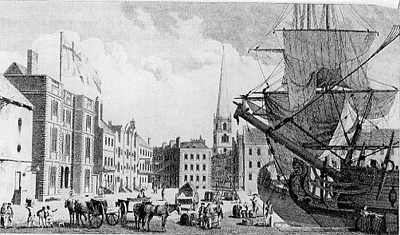 Coastal towns like Lancaster, Whitehaven, Plymouth and London were soon sending out ships to Africa, and the huge profits gained eventually transformed the cities of Bristol and Liverpool into the richest and most powerful in Britain. The enslavement of Africans helped change Britain’s economic landscape, and laid the foundations for it to become the greatest industrial nation in the world. While resistance to slavery occurred amongst the enslaved communities from the moment of capture, it wasn’t until the late 18th century that a movement strong enough to effectively pressure the Government and the planters came into existence in Britain. Both the abolitionists and pro-slavery movement used the pamphlet as one of their main campaigning tools to influence public opinion at that time. The collection of pamphlets and supplementary texts within Recovered Histories covers over a century of campaigning in Europe and America, capturing the voices of the enslaved, enslavers, slave ship’s surgeons, abolitionists, parliamentarians, translators, the clergy, planters and rebels. 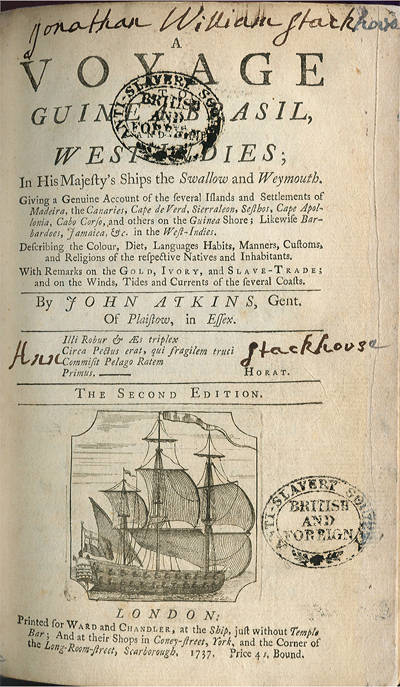 It chronicles enslavement as an institution and an enforced way of life, the brutality and horror of it, the Middle Passage and triangular trade, arguments condemning and supporting it, evidence gathered to present to Parliament, illustrations of life on the plantations, and details of uprisings in the Caribbean and the attempts by many enslaved Africans to liberate themselves and determine their own futures. The application of the Bible to abolitionist and pro-slavery arguments, Parliamentary speeches and evidence against the system of apprenticeship is also featured. The Recovered Histories website gives an insight into the history of enslavement and those who fought to maintain and abolish it. The writings of British abolitionists Thomas Clarkson, Zachary Macaulay, James Ramsay, James Stephen, Elizabeth Heyrick and William Wilberforce can all be found here, as well as their American counterparts, including William Lloyd Garrison, Frederick Douglass and Angelina Grimke. The site provides a wealth of resources for those interested in studying the Transatlantic Slave Trade and also provides a starting point for those who have little or no knowledge of Britain’s involvement in the trafficking of Africans and the abolition movement. Key narratives have been identified, enabling the reader to easily navigate through the texts, and a glossary has been provided for unfamiliar terminology. There is also a resource list of external sites and publications for those who wish to learn more.